and I've got the 'I can't play the harmonica' blues! Absolutely fantastic... I love the (H)OOWL SFX speech balloon! TWO creatures and a bluse legend, all in a graphically beautiful whole! Visually inspired! 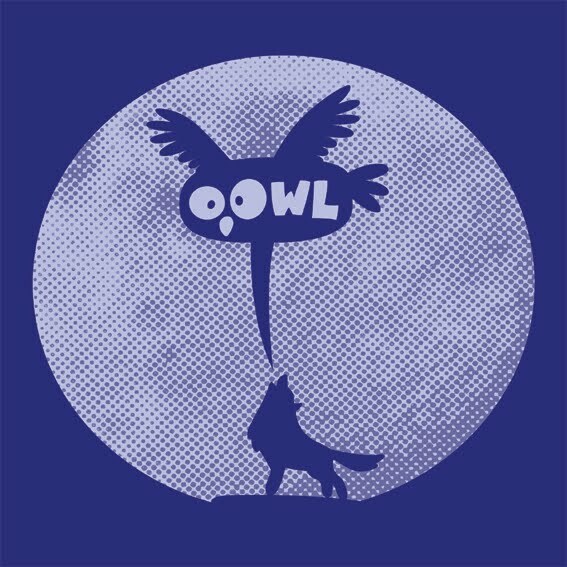 We will never look at owls in the same way ever again chaps...this is FUN!